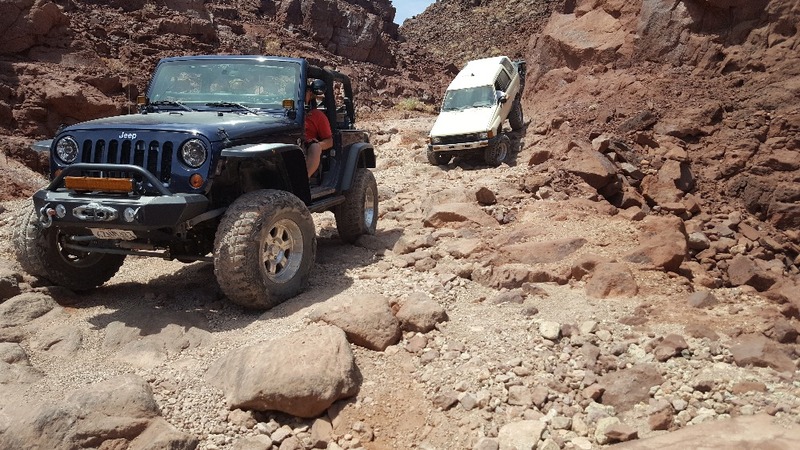 Phillips Canyon is the 3rd hardest trail in the Calico mountain range network. 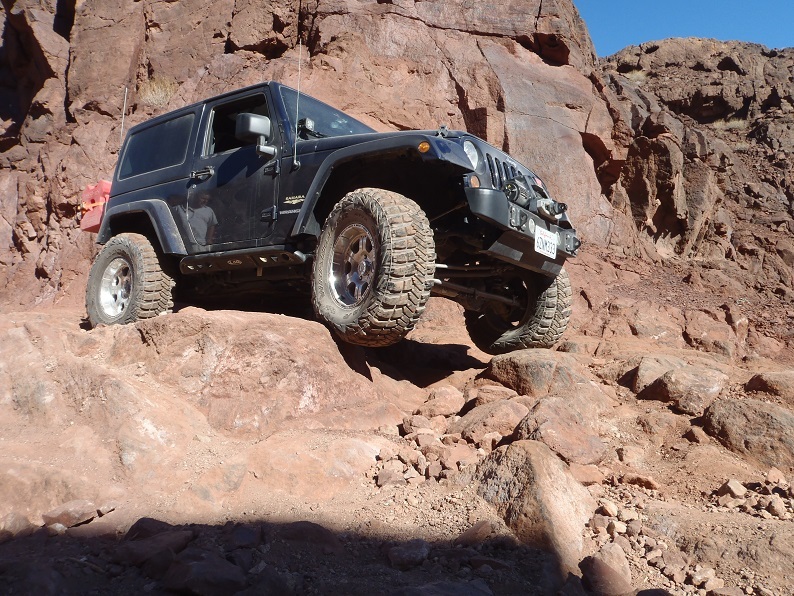 Phillips Canyon is a narrow path, just a single vehicle width with several hard obstacles. 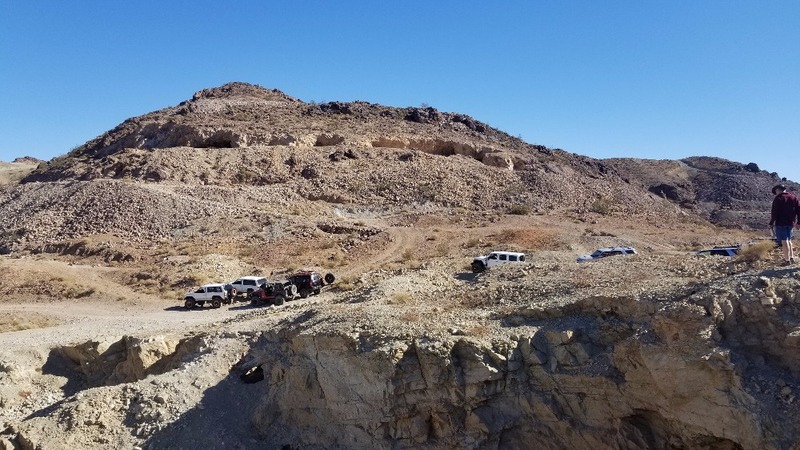 Some of these obstacles are a double 3 foot waterfall, rocky hill climb with 1-4 foot ledges in the middle, narrow canyons with large boulders, and a long even steeper hill climb with 3 foot ledges in the middle. 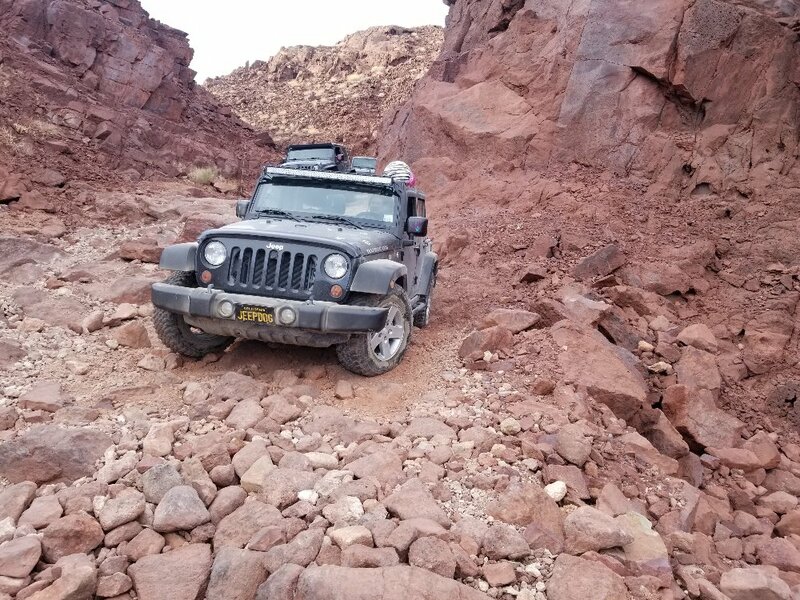 But the obstacles are not what most people remember of Phillips Canyon. 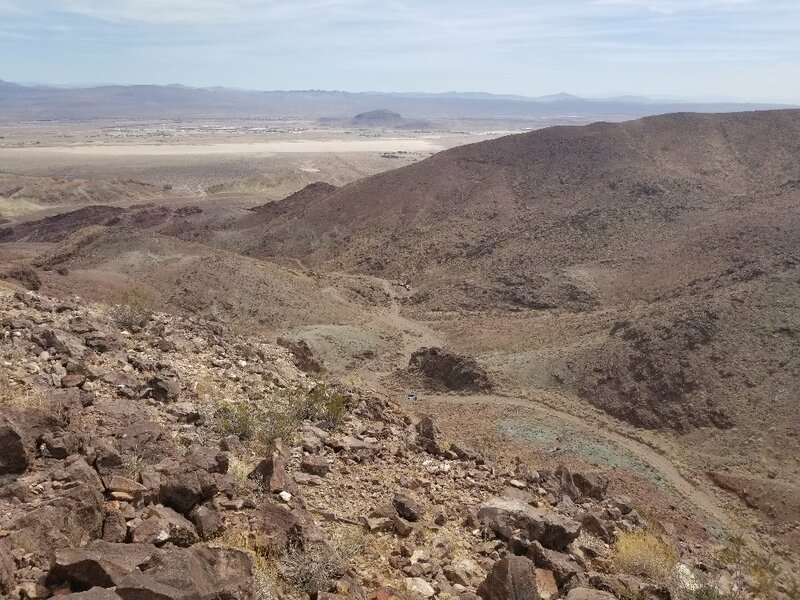 Phillips Canyon has some of the most amazing views in Southern California including red rock canyons, mud hills you can explore, sand stone canyons, natural stone arches, and old silver mines. 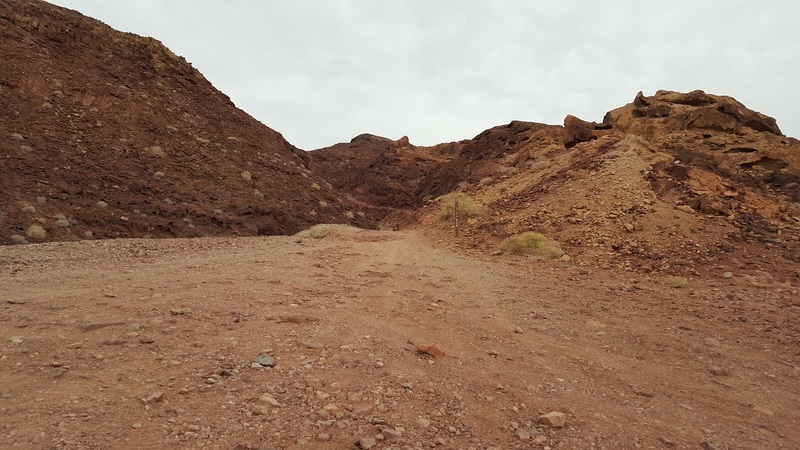 Beside the trail, there is ample things to do in the area including Calico Ghost Town, the robust trail network in calico, exploring abandon mines, the Mojave River / Road, and exploring the Mojave Desert. From Highway 15 heading North/East. Exit the second calico exit and head North towards Calico. 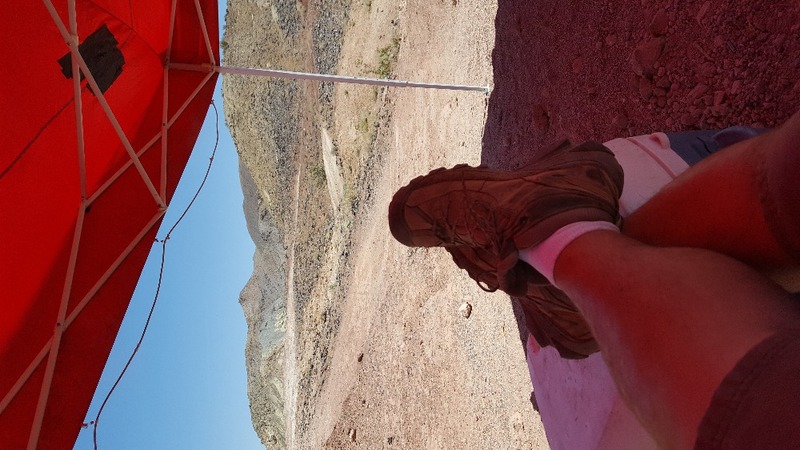 Take the first dirt road North (Mule Canyon) 34.921333, -116.848928 (0.0 Miles from start). (Go ahead and air down here, recommend low tire pressure due to shale). As you are going up the Canyon, go left at the big-ish Y 34.940444, -116.839785 (1.6 Miles from start). Follow trail up and stay right 34.944489, -116.844829 (2 Miles from start). Follow trail up and stay right 34.947250, -116.844736 (2.3 Miles from Start). Proceed up old broken asphalt road. The trail head is in front of you 34.950294, -116.844594 (2.6 Miles from Start). 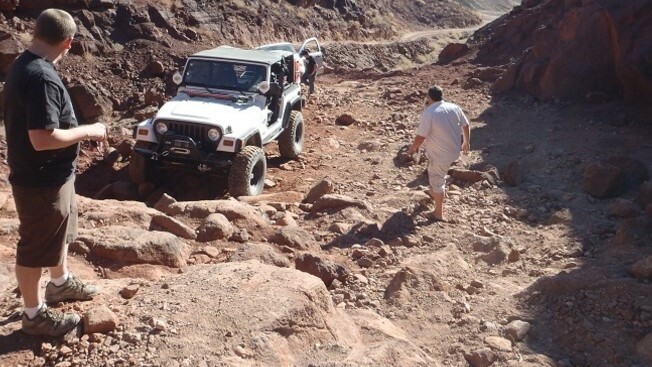 This is a great intermediate trail and an excellent place to teach newbies how to rock crawl. 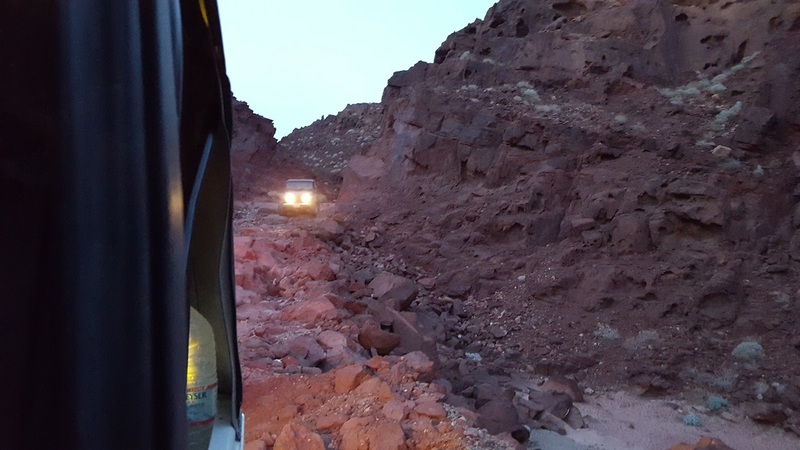 You can camp at Calico for the weekend and spend a couple days helping new guys learn the basics on this trail. 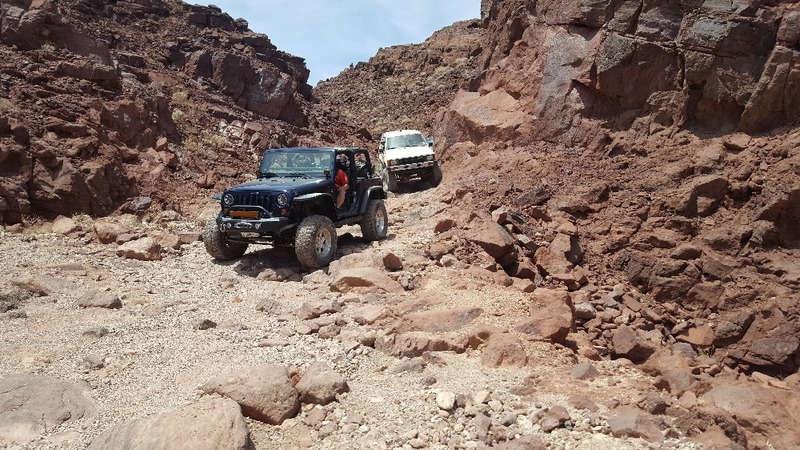 There are so many trails that you will not be bored. An absolutely beautiful day on the trail. The paid campgrounds were full, but not many on the trail. The trails have been built back up evidently from lots of rock stacking by previous visitors. 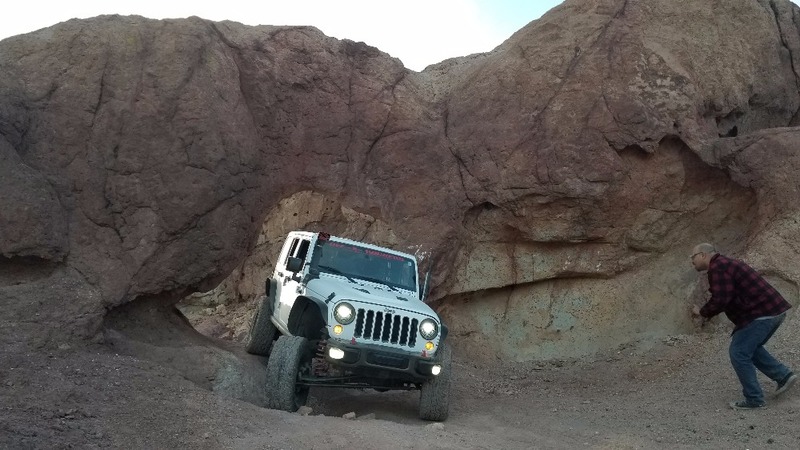 This is a wonderful time of the year to visit Calico, CA. He'll of a trip. It was hot!!! Phillips was all torn up. It appears a flash flood has gone through there and changed the trail quiet a bit. 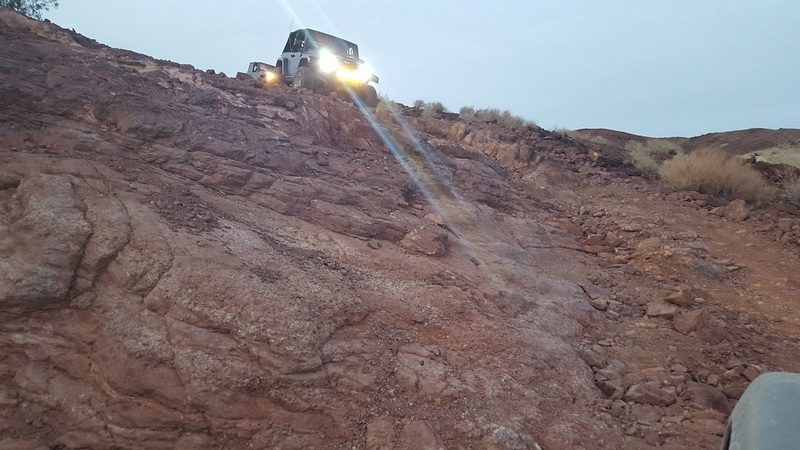 The double water fall was tore up, so was the hill climb. Even the flat areas that allowed fast movement are so messed up that you have to be in 4 low.